During the emergency/disaster response, we often hear the word coordination, coordinate, and the like. It is easy to say coordination and coordination, but in reality very difficult to run and achieve it. For example, during the emergency response of floods in Jakarta in early 2013, we noticed that a lot of turmoil distributions of basic necessities due to lack of coordination between the authorities, relief parties/donors and communities affected by the disaster. We saw from mass media, affected people at the evacuation centers complained that they have not received any aid, but on the other hand we also saw that a lot of aid has been given. The questions then where the given aid and why many affected people still complained not get it? Apparently at the time, a lot of aid have only been stored at posko and has not been given to the affected people due to lack of coordination! Shortly after disaster struck, many people, individually, organizations and government agencies immediately plunged into the location and provide humanitarian assistance. All parties came with their own interests so often competing priorities occurred. It can be seen from the lack of services and support provided to the affected people/communities, one example as mentioned above. Another example is duplication of effort so it can create inappropriate assistance. I have experience the same situation when I was participating in the emergency response in one area sometime ago. At the time, almost all parties/donors sent food aid, until finally the affected people refused to accept any food aid. Actually what urgently required at the time is basic medicines and medical assistance, but due to lack of coordination in the management of information, therefore the aid as per requirement came very late. Definition of coordination based on free dictionary artikata.com is regarding the set of an organization or activity to ensure that rules and actions to be implemented are not contradictory or confusing or we can say coordination is the regulation of diverse elements into an integrated and harmonious operation. Some synonyms for coordination are harmonization, alignment, organization, and synchronization. From the above definitions and synonyms, we could see that coordination does not occur within the short time. Coordination should be done well long before the disaster. Coordination of emergency response must be made by all stakeholders from government, private sectors, other relevant organizations and communities itself. Participatory of all stakeholders involved in the emergency situation. The tasks of coordination within a structure and process agreed and supported by all of stakeholders. A person or an agency or organization designated as the coordinator should be able to build a good atmosphere and mutual respect among all stakeholders. Impartial. Coordination should aim to provide assistance in accordance with the requirements irrespective of ethnicity/race, religion, political choices/affiliate, gender or age. Attention should be given to the vulnerable groups, children, the elderly, the disabled and pregnant women. Coordination should not be made to favor one agency or organization over another. Coordination should be done in transparent way. 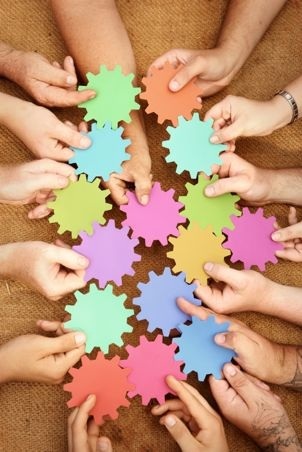 Coordination requires trust from all of stakeholders. Every decision making process and the provision of information should be done in a transparent and honest, even in cases of failure remains to be informed and not be covered up to a certain interest. Should be beneficial to the affected communities and other stakeholders. From the mapping, then we can see the capacity of the different stakeholders so that the division of tasks for emergency responses can be coordinated.